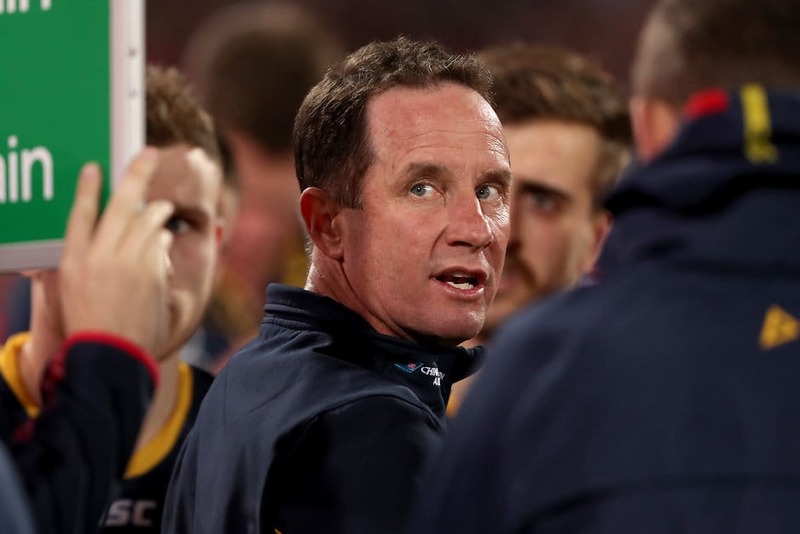 Adelaide coach Don Pyke has full confidence the Crows forward line will bounce back from a slow start to the season. Speaking to the media on Friday, Pyke conceded several players needed to improve. "We've got some guys, who, I think it's been acknowledged, are not in their best form," Pyke said. "It's always a challenge at match committee to go, at what point do you support those guys, back those guys in to return to form. “We've got to look at some of our guys ahead of the ball, in our forward line; they're not playing as well as we know they're capable of. "There's an opportunity for them, but I'm confident they'll respond." Midfielder Bryce Gibbs was omitted from the senior side and will line up in the SANFL on Saturday. "In any organisation, you're in a position whereby performance holds you in the team," he said. "We know he (Gibbs) is a quality player and we want him in our best 22, but he's got some things he just has to tidy up. "When he does that, I expect he'll push for selection really soon. "Whether that's one week or longer, I don't know. We'll see how he performs." Pyke expects lead ruckman Sam Jacobs to return from a knee injury for the Round Five game with Gold Coast on Easter Sunday. "He was probably two or three days short [this week]," Pyke said. "Unfortunately for Sam, he got out there on Wednesday and started doing some of his warm-up stuff, struggled with the change of direction stuff. "We're confident he'll be right for the following week."